The HeatMap Pro provides a quick, simple, & easy to read visual display of the current market conditions. 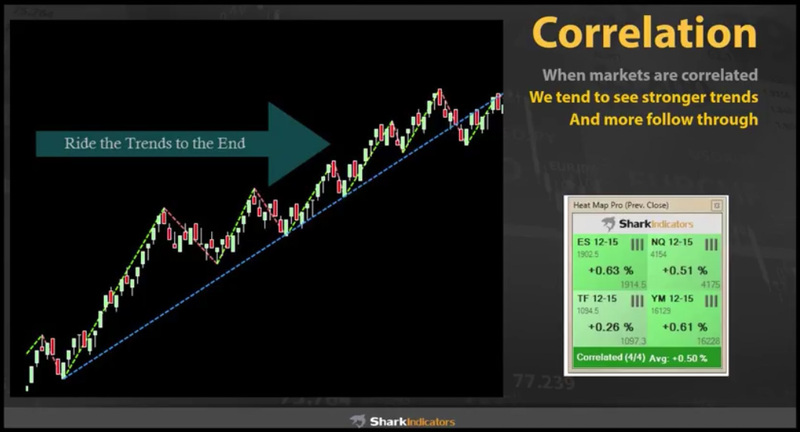 This game changing tool will also inform you when the major markets (or your instruments of choice) are all correlated in the same direction or mixed. Know at a glance when follow through is high, or when the markets are choppy. See the SiHeatMap’s reference page for more information. The trial runs with all the features of the HeatMap Pro for 30 days. As a limited-time bonus, each purchase of HeatMap Pro comes with a free 60 minute one-on-one training session with Steph T, the designer of HeatMap! See TouchZoneDayTrading.com for Terms & Conditions. 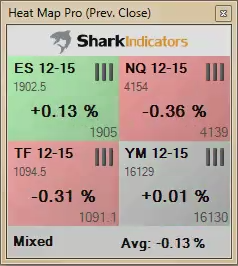 Finally a correlation HeatMap for NinjaTrader!